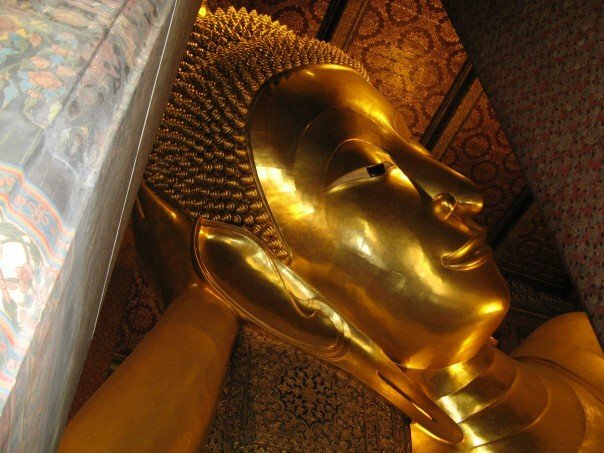 Bangkok, Thailand is one of my most favourite places in the world to visit and I have been coming here for many years. It has also been a place I have always wanted husband to visit with me, but alas for one reason or another this hasn't yet happened. This is why it is #6 on the Life List. 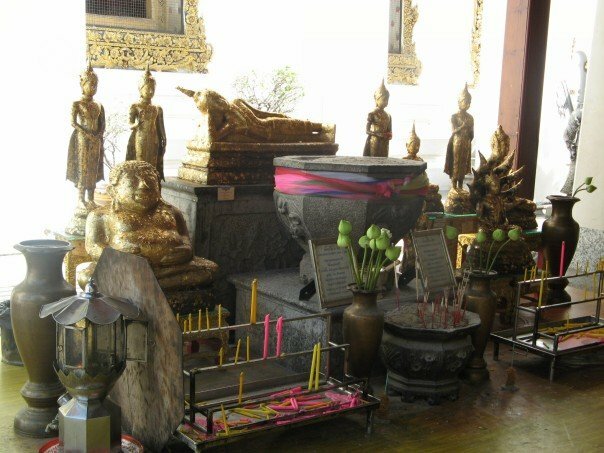 I have found some great places to visit over the years, so I thought I would share my finds and tips with people. However in no way do I think this is a comprehensive guide, I would recommend the Lonely Planet guide for that. 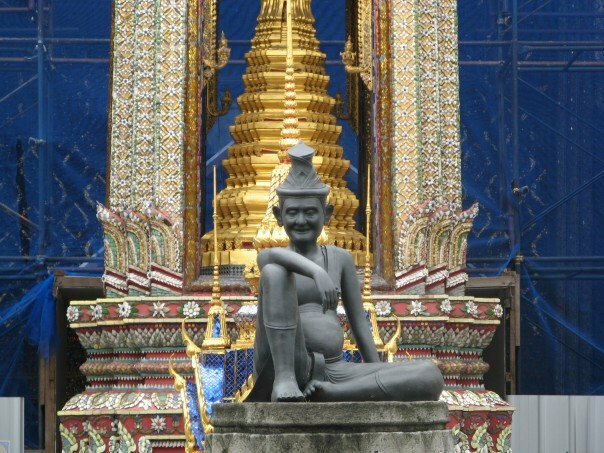 I would also recommend this list of Travel blogs on Bangkok. Skytrain is the best and cheapest way to get around Bangkok. It is a cross between a monorail and a train and it is extremely efficient, quick and inexpensive. I would recommend purchasing the One-day Pass. It is unlimited travel within the duration of a single day for 120 baht (~AUD$4). Or you can just get a ticket depending on where you need to go. This ranges from 20cents AUD. Taxis are also cheap. However they need to be the real ones (with a meter), these are are normally about $AUD5 - $10. Unfortunately after many years the great Suanlum Night Bazaar has shut down. However a new one has popped up. Siam Paradise Night Bazaar is a new night market located at Sukhumvit 101/1, it is supposedly quite similar to Suan Lum and recently it has starting to gain popularity among locals and tourists. But according to recent reports it is still a bit quiet. 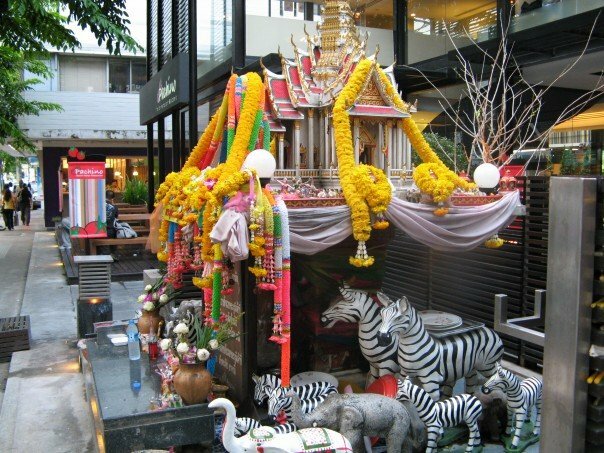 A good blog I found about Bangkok Shopping is this one, so have a look at it as they have some good write ups on shopping places to visit in Bangkok. Chatuchak is one of the best, crazy and surreal experiences in Bangkok! But if you are claustrophobic, probably not a good idea to visit. It basically sells everything and I mean EVERYTHING (my wedding bonboniere came from here)! It is the world’s biggest undercover market and there is no way that you possibly see everything in one day. Make sure you get a map and this will help you sort out what areas you want to go too and have a look at the above Chatuchak website to get your bearings before you start. Warning: If you are strict supporter of animal rights or if you just do not like to see animals in what is possibly not the most healthiest of environments, then you may want to avoid the animal section of the market. I haven't seen anything bad happening here, it is just that some of the animals seem to be in terrible conditions and they are not kept in the best of environments. It is easy to avoid this section. You also might want to look out for pick pockets here, as it gets quite full and squashy very quickly. Stalls start opening from as early as 8am but they are not fully open until about 11am. I would recommend you get there as early as you can to beat the crowds and heat. To get there, you catch the Skytrain to the end terminal called Mochit which is where the market entrance is located. It is really easy to find from there. However when you want to go home, make sure you figure out how to get back to Mochit. I always get lost and normally just get back to a main road and get a taxi home, often because I have WAY too many bags of shopping to carry! This is one of most favourite places in Bangkok, you can shop here during the day, but it comes alive at night. It is where the students hang out and it is quite funky. It has great shops scattered around the streets and in the little side arcades. I often find great clothes and shoe stalls that have unique items, which often are quite cheap (shoes about $20-$30). You can just wander around and see what tickles you fancy. MBK is a department store that has 'real' stores on most levels and then has levels dedicated to markets selling the usual fake jeans, shoes and bags. Siam Paragon is an up market department store for Bangkok standards, similar to Westfield Bondi Junction. It isn't that much cheaper to Australia, however it is somewhere to go if you are over the craziness of the real Bangkok. You REALLY need to experience an authentic Thai massage! The best ones we have found are Lek Foot Massage. I have found them really professional, cheap and amazing. Often a great way to finish a busy day of shopping and sight seeing. This is just such an amazing and breathtaking place. 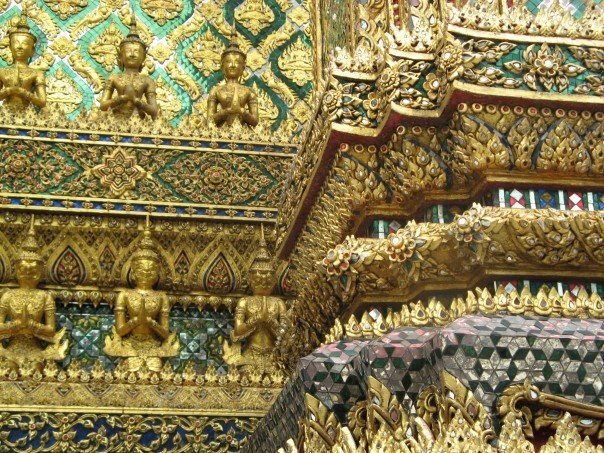 The Grand Palace is Bangkok's most famous landmark, built in 1782 it has the most stunning and intricate architecture in Bangkok. Important Note: A strict dress code applies. 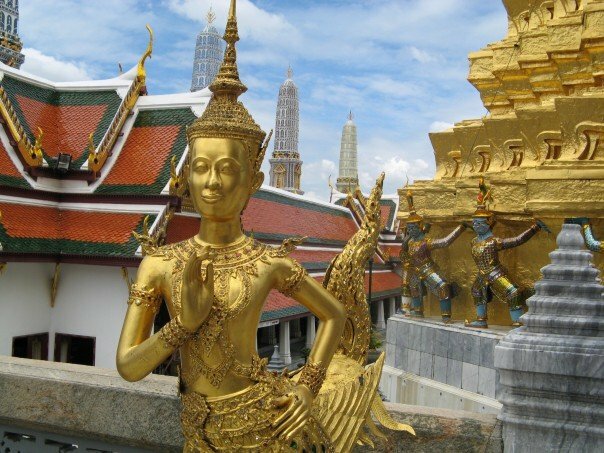 The Grand Palace and The Temple of the Emerald Buddha is Thailand's most sacred site. Consequently visitors must be properly dressed before being allowed entry to the temple. Men must wear long pants and shirts with sleeves. Shoes must be worn and flip flops/thongs are not allowed. Women must also be modestly dressed. No see-through clothes, bare shoulders, and shirts with sleeves must also be worn. People will stop you if they think you are inappropriately dressed when entering into the palace. Trust me I got into a 'heated discussion' with some undercover palace officials as I thought they were touts just trying to sell me something. But it ended up they were officials abusing me for wearing a singlet near the entrance of the palace. I did have a shirt to wear over my singlet but still had a stern talking to. So be careful! This is within the Grand Palace and the Buddha is really cute (but tiny compared to how big the temple is that surrounds him). Worth to check him out. This is amazing and I would recommend taking a boat ride down from the Palace. You also might want to try a massage here, as they have the official traditional Thai massage school which is located here. I have only seen this from a distance – but would recommend going here based on all the articles I have read on it. You can get to the Grand Palace and Wat Phra Kaew by taxi as it is inexpensive. 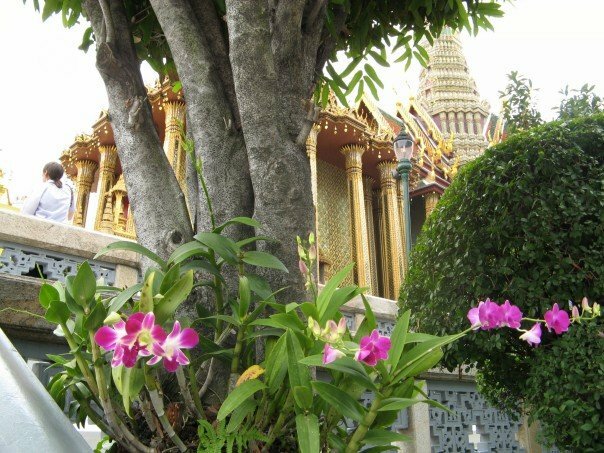 Or tourist sites recommend getting an express boat from the pier at Saphan Thaksin and get off at Tha Chang, walk to the main road and then you’ll see the temple grounds in front of you. What I did last time was catch the skytrain and got off Saphan Thaksin (the end of the line). We walked down to the river and bought a boat ticket to take us to the Palace/temples. This was a multi pass and allowed us to get on and off the boat wherever we wanted. I think it was $10 or $15 and it had a guide on board that showed you the sites along the river. Be careful when you are buying the tickets as they try to scam you to get a personal boat tour, which is much more expensive. SCAM ALERT! 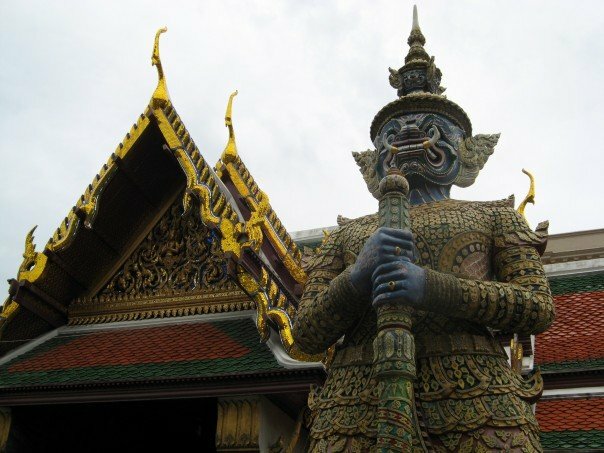 Often visitors are approached outside the Grand Palace and temples by locals claiming it’s closed for the day and offering to take them elsewhere to see other sites. 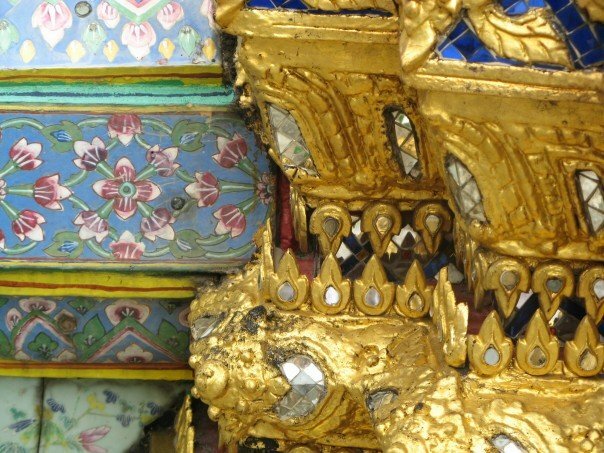 They can be quite convincing, but don’t believe them, the Grand Palace and temples are always open and these con artists simply want to get hired for the day to take you to see gem factories or other unnecessary places. I was told Wat Pho was closed and it wasn't. The Inter Restaurant is our most favourite restaurant in Bangkok. It makes the best ‘morning glory’ (a water spinach, not anything else) and a splendid Thom Yum Goon! You rarely see westerners eating here, just school kids and locals. They do speak English and have a menu in English. So many yummy things on the menu. 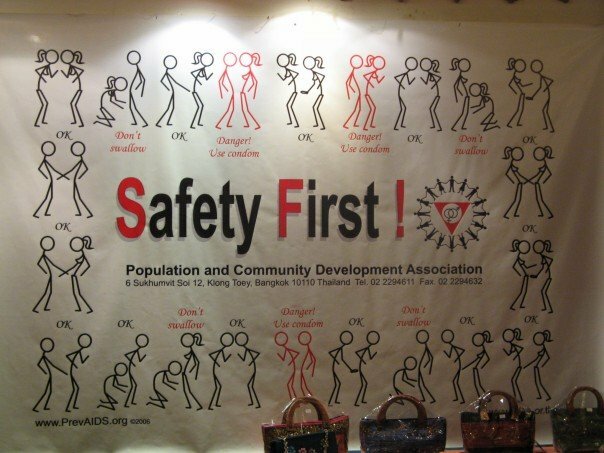 The Cabbages and Condoms restaurant is run by Thailand's Population and Community Development Association. Its founder Mechai Viravaidya, believes "birth control should be as cheap as vegetables", hence the restaurant's name. ﻿The surroundings are a bit surreal but equally enjoyable. You can get a variety of cocktails and other drinks from the "Vasectomy Bar". The food isn’t as authentic as at Inter, but it is as good as any good Thai restaurant in Australia and really is worth a trip to just see the condom art works! The Oriental Hotel is one of the leading hotels in the world and is just stunning. Some have said it is the 'most luxurious and sophisticated hotel in Asia'. I just know that I have always wanted to stay here and should have put it on my original Life List as it has always been on the list in my head. So #88 has now become 'Stay at the Oriental Hotel' in Bangkok. Lovely. The Oriental Hotel is is nice to come here for high tea or if you want a special dinner I would recommend going to its restaurant across the river called ‘Sala Rim Nam’. It is expensive for Bangkok standards but comparable to a good restaurant in Australia. 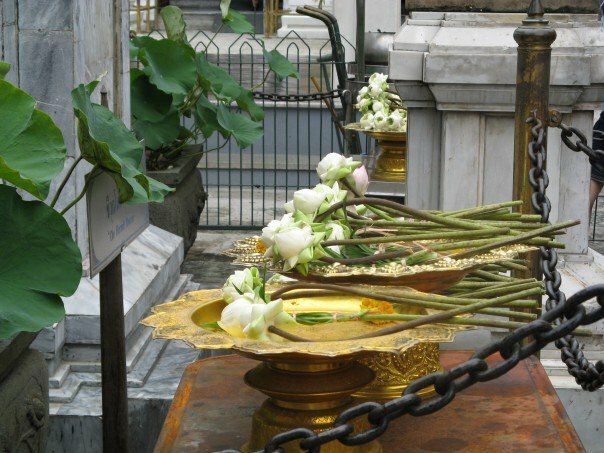 I hope you have enjoyed my Bangkok Guide. Hopefully I will be able to add more places and sights to it in the near future.